Traditionally used by rural folk for medicinal purpose, Plumbago indica (Chitrak) is a perennial shrub. It has bisexual flowers and attains up to 2-4 feet height. Leaves are almost 3 inches long. The flowers are with stalk, five petals and white in colour. It flowers during autumn. Fruits are long and sharp. It contains long seeds inside. Roots are finger shaped and of pungent taste. Though it looks brown from outside, yet it is white from inside. It is cultivated throughout India and found mostly in Eastern Himalayan region and Sikkim. It also grows in South East Asia and Madhya Pradesh. It is seen in Nagaland, Manipur, Assam, Meghalaya, Sikkim, Arunachal Pradesh, Odisha, West Bengal and South India. It grows in other parts of the world such as Africa, Europe, Indonesia, China, Malaysia, Philippines and Arabian Peninsula. 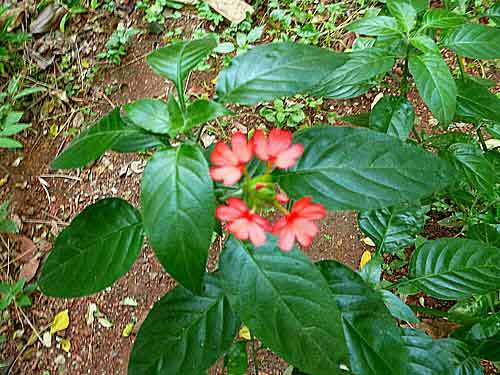 It grows wild in India and has been in use by many tribal since thousand years. It is useful for the treatment of chronic respiratory problems. Chitrak is also useful for bronchitis and rheumatism. Plumbago indica is useful for asthma, cough and cold. The plant is useful for digestion and works against indigestion. In some countries, it is used for abortion. It is useful for the treatment of leucodermia. It is also helpful for skin diseases. The root helps to stimulate appetite. It cures the disease of the liver. The leaves of the plant are also helpful for the treatment of ringworm and scabies. It is a useful agent for enlargement of the spleen. It is anti-periodic and useful for obesity. 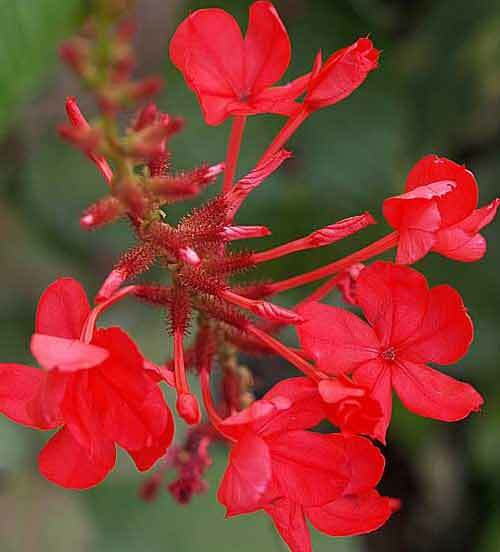 Plumbago indica is useful for piles and reduces fever. It cures nausea, allergy and leucodermia. The powdered root is snuffed to get comfort from a headache. It also cures intestinal troubles. In Africa, it is used against influenza and black-fever. The paste is used to burst the boils on the body. It also cures swelling and inflammation in the skin because of its anti-inflammatory property. It supports healthy metabolism and removes the toxins from the body. It is used for weight management formula. It balances body fluid levels. It is used for dyspepsia and diarrhea. The extracted paste cures leprosy, sore and other unhealthy wounds. It is good to avoid the plant extract during pregnancy as it is considered unsafe during this period. It is also believed to increase the gastric problem in the sensitive stomach. It is better to consult an Ayurveda specialist before using this medicine because if it is not used in small quantity as a side effect, it can cause paralysis or death.